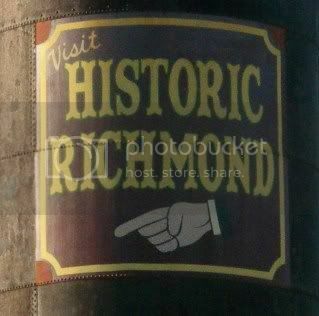 With its unique array of galleries, pubs, small businesses and great places to eat, the Historic Richmond, Indiana Depot District, (est. 1902) offers a breath of fresh air in the staleness of big chain stores and franchise restaurants. Named after the Pennsylvania Railroad Station Depot, this up-and-coming neighborhood will only continue to grow and showcase all the amazing businesses it has to offer. And this area certainly does offer tons and tons of opportunities. The unique look of the entire area draws people in with its beautiful architecture and vintage feel. It’s feels like going on a little adventure to shop and find new things to do without ever leaving your own little city. With authentic markets such as Maria Mitrione’s Italian Market and shops with handmade items such as Coco’s by Hand and you can find treasures you wouldn’t find anywhere else. Check out our Depot listings and maps in the Wayne County Directory! The entertainment venues in the Depot District, such as The 4th Floor Blues Club and The E Street Pub, are places where you can go and listen to some great live music. And the restaurants such as Little Sheba’s and Joe’s Pizza are great places to dine with friends. The Historic Depot District is made up approximately of four blocks in Richmond’s near north side, primarily along Fort Wayne Avenue and North “E” street. Fort Wayne Avenue was formerly known as Quaker Trace and was significant not only for its transport of goods and services, but also as an important route along the Underground Railroad. The land was originally owned by Jeremiah Cox who was one of many Quakers who helped establish Richmond in the early 1800’s. Charles and Elizabeth Starr purchased several acres from Cox and realizing Richmond needed a railroad to expand commerce they then donated some of their land to build a railroad station. 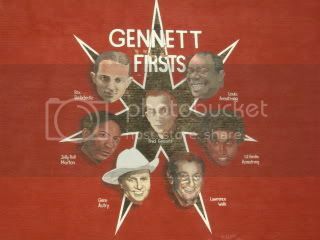 The Starr name is well known in Richmond for founding the Starr-Gennett record company and helping Richmond become more of a thriving city. 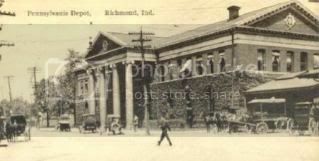 The Pennsylvania Railroad Depot sits on North “E” street and is one of the area’s most prominent landmarks. If we look back into the history of the station we see that it was designed by a world famous architect named Daniel Hudson Burnham. Who was behind renowned structures such as Washington D.C.’s Union Station, the Flatiron building in New York and the Rookery building in Chicago. His last surviving artistic achievement is our very own Pennsylvania Railroad Depot. The station was the third depot on the site and was a high traffic area for the early 20th century’s movers and shakers. It saw the likes of Annie Oakley, Buffalo Bill Cody, William Tecumseh Sherman, Helen Keller, Will Rogers, Booker T. Washington, Louis Armstrong, Hoagy Carmichael, Joe Louis, Robert Frost, Billy Sunday, Babe Ruth, Gene Autry, the Marx brothers, Sammy Davis Jr., George Burns, Jack Benny, Joe DiMiago and Eleanor Roosevelt just to name a handful. 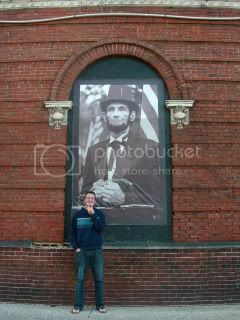 Also many of our early 20th century Presidents paraded through the station. There is so much fascinating history in this area. One of the newest businesses in the Depot District is paying tribute to the history of the area. The New Boswell Brewing Co., which is located in the old Glassworks building, has taken its name from the man who first commenced a brewery in Richmond, Indiana, Ezra Boswell. 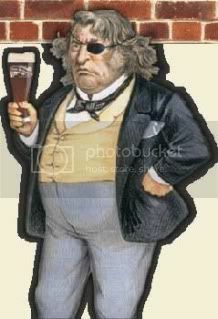 The original brewery was founded somewhere between 1816 and 1818. The New Boswell Brewing Company will commence distributing to bars and restaurants somewhere near the end of April 2010.
Business owners in the Historic Richmond Depot District are working together and reaching out to the local community by hosting several free events each year such as the Old Fashioned Christmas Festival, Fall Festival, and Independence Day Festival. 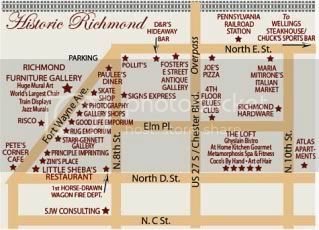 With all the different array of things going on in the Historic Richmond, Indiana Depot District you will always be able to find something new and exciting to see and do!